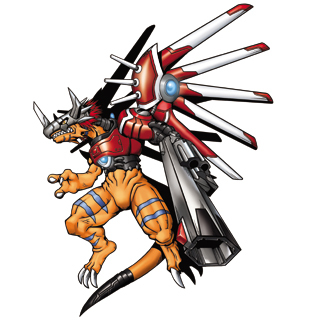 A Cyborg type Digimon who has mechanized more than half of his body. 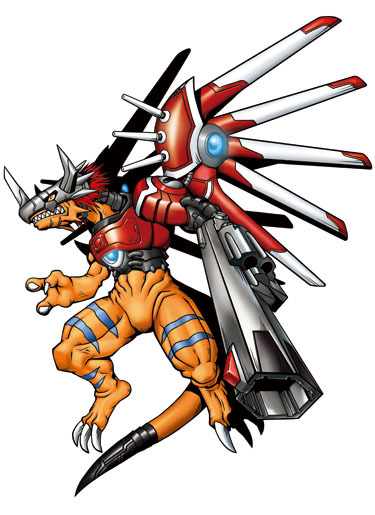 He flies across the sky and defeats the enemy despite his lumbering big body. It is said that the offensive abilities produced when he fires the huge revolver on his left arm is akin to a nuclear warhead, and is impossible to defeat due to its terrible power and blazing reaction. 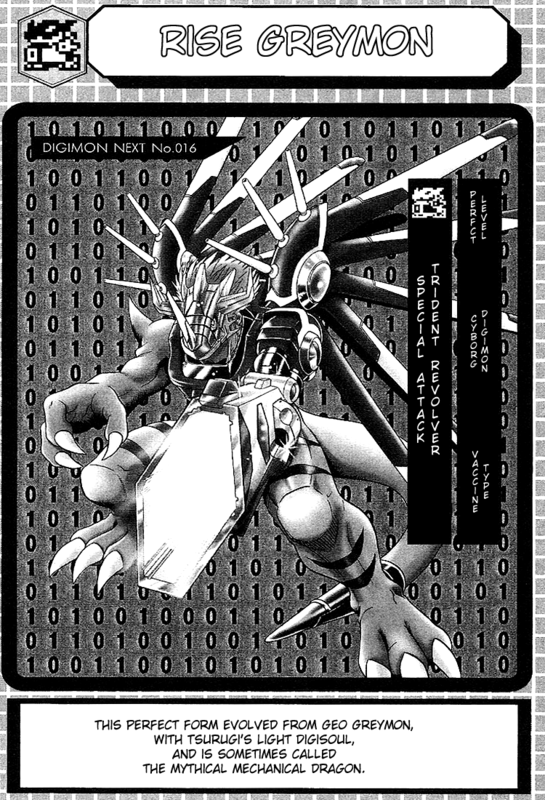 In addition, the barrel is made from Chrome Digizoid so that it can produce powers itself. 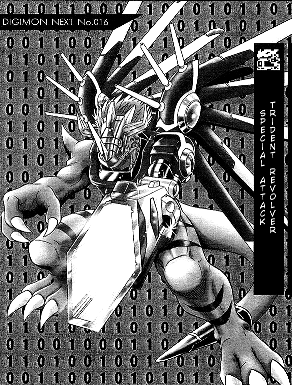 His special attack is "Trident Revolver", which gets its name from the three beam guns that fire a high-speed blaze, which is fired along with the oral-shaped chest plate and the barrel made from Chrome Digizoid. 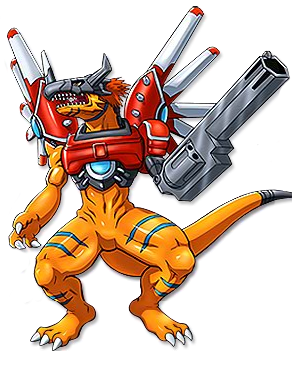 In addition, he can rush into the enemy and destroy it with his huge revolver in his attack of "Solid Strike", giving him preeminent powers akin to a solid blow. Origin / English. Rize means to burn something down to the ground. Grey is a misspelling of great. Origin / English. Rize means to burn something down to the ground. Grey is a misspelling of great.